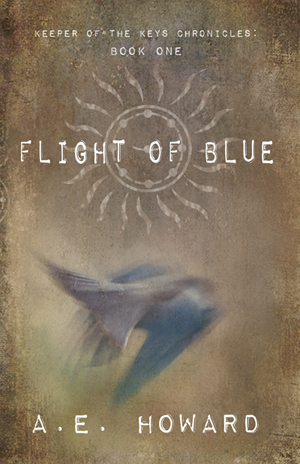 Flight of Blue…..yep, a new book you need to check out…. Oh my word it has been a long time since I have had a chance to write a post!! We had a wonderful trip to Colorado for July 4th, spending time with 21 family members. During the trip, however, the laptop died and I am hoping to replace it this week…the lack of the faithful laptop has led to life being lived offline. Not such a bad thing. However! There is good reason to be back on now….a friend from here in Nashville has done something fairly remarkable. She has written a book. I say that that is remarkable because I cannot imagine doing such a thing. I love reading, I love imagination, and yet I have never been able to come up with something I thought could hold folks attention. A.E. Howard has come up with something that does just that. The Flight Of Blue is a wonderful journey of imagination. We began reading it at our bedtime, after having just finished another Andrew Peterson novel. This book has some stiff competition with Peterson and recently The Wrinkle in Time on our list…and it held up well. The boys were caught up right away. I know that the book has their attention when they have to stop me to ask questions. Not obvious questions that should have been clear…but imagination questions because their minds are working. Oh, and of course that moment when I declare the reading to be done and I am met with cries for “Just one more chapter…” I love that. So, the book officially launches today!! Woohhoooo!! (If I ever actually write a book, and it launches….you will hear me shout with much joy!) Genuinely, you should check this out…I’ll write more on it as we finish the book (we are in the midst of the adventure), but take the time to read this little excerpt, then skip over to A. E. Howard’s launch site at the link below. Oh, and enter to possibly win a copy, or just go buy one! Let me know what you think…. Serina stopped for a moment and checked to see how Kai was absorbing.